Custom built home by Classic Homes/Bob Craig. 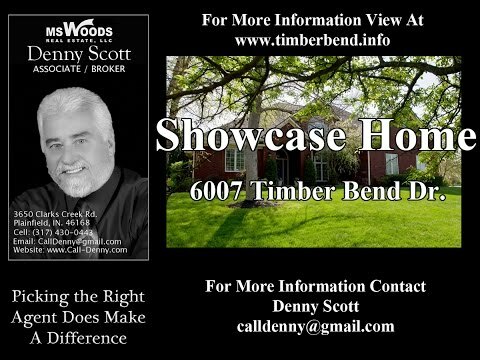 Located in the highly sought after addition of Timber Bend. This home features a 3 car garage, an open floor plan with a separate family room, 5 bed rooms, 2/½ baths, hardwood floors, new carpet in bed rooms completely repainted. Updated furnace, air conditioner, roof, water heater, water softener, stove, irrigation system. Large lot with both a screened in porch and patio for entertaining, plus professionally landscaped with mature trees. This one won’t last long. A must see. West end of Avon on US 36 turn South on 625 E. and follow to Timber Bend second entrance. Turn West into addition then Rt. again on Catalpa Dr. then Lt. on Leaf Ln. then Rt. on Timber Bend Dr. follow to sign.